Large, pure white, fragrant blooms with occasional flecks of crimson at the base of the center petals have made this variety a great Peony for generations and our largest seller for many years. It's also the best double for southern gardens. Winner of the Royal Horticultural Society’s Award of Garden Merit. Early. While I was prepared to wait a year to see any blooms, my peonies delighted me with a healthy bloom on each this very first season. I couldn't be happier. My Peony Festiva Maxima plants have been passed down through the generations and have been divided, moved in yards and changed addresses. They are a minimum of 70-years-old. To have the biggest, hardiest blooms, my grandfather always advised nipping off all the secondary blooms. It has worked for me. 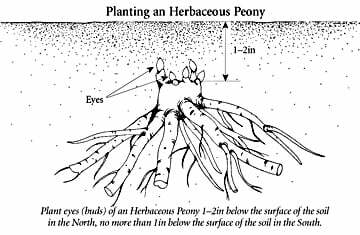 If you don't use peony towers to prop them up, it helps to shake the raindrops off the flower heads right after a rainstorm. Absolutely beautiful and fragrant - and well worth a bit of effort! Only had one bloom this, it's first year, but as to be expected for a young plant. Good size for it's first spring though. Can't wait to see what it continues to do each year. I notice I first posted about this Peony back in 2011. Since then, the "crop" has grown to about twenty flowers from a single planting in 2010. They are by far the most beautiful flower in my garden. Maybe I'll even get another variety.